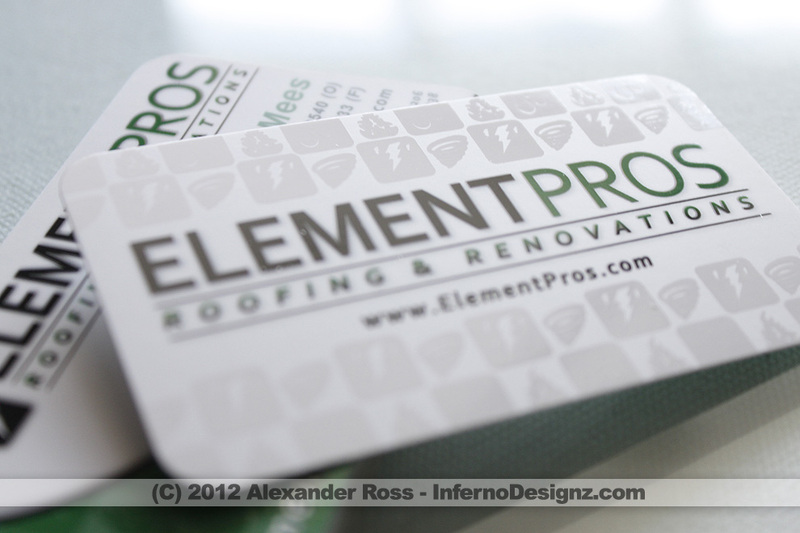 Element Pros came to Inferno Designz to brand their new Roofing and Renovations company. 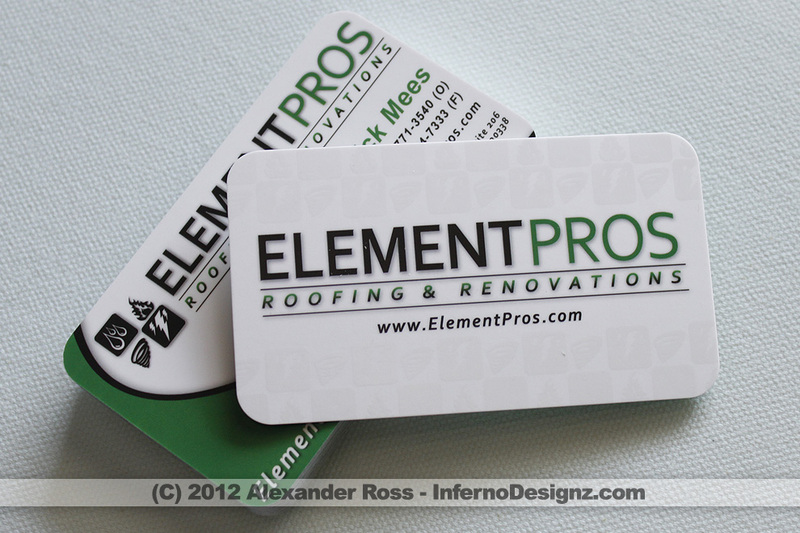 We started off by picking colors, then designed a Med-Level Design with Symbols. 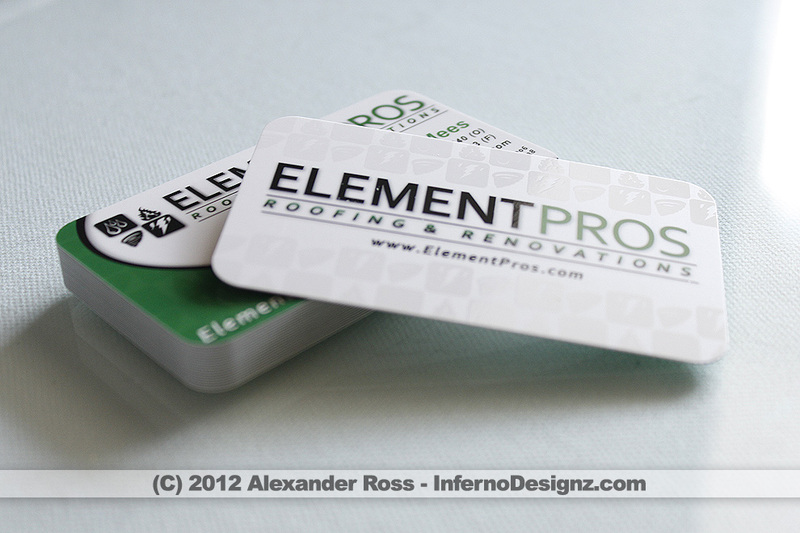 We moved to Premium Business Cards with a custom clear UV gloss allowing the Symbols to have a ghost effect.